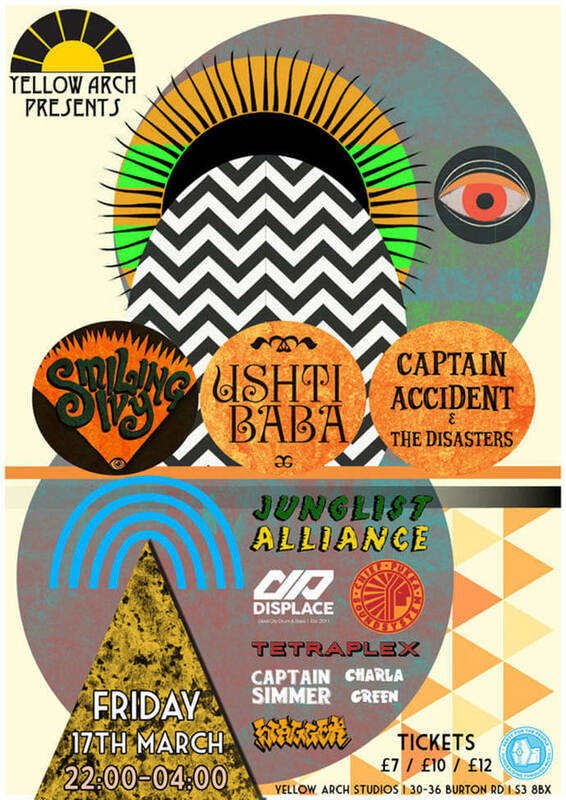 Ushti Baba – “Gypsy Jungle Turbo Folkstep” 8-piece from Bristol. Mixing eastern and western folk, with dubstep rhythms and drum n’ bass beats. Smiling Ivy – Explosive dub, hip hop and ska punk from right here in Sheffield. Captain Accident and the Disasters – Reggae/ska/soul mix up from Cardiff. Soulful roots melodies performed in the most energetic manner.